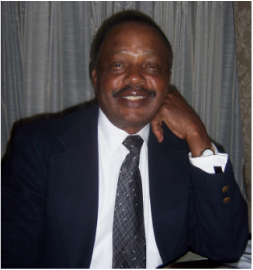 The Anthony Ihedoha Anaebere, Sr. Memorial Scholarship award must be spent on tuition, fees, books, supplies and equipment required for the student’s education at their primary university. All scholarship recipients must be Nigerian-born -or- first generation Nigerian American and, pursuing undergraduate or graduate education in Engineering/Engineering Sciences at a college/university in the United States of America. All scholarship applicants must be enrolled as a full time student for the 2018-2019 academic year. Enrollment will be verified after the winner is selected, and all scholarship payments will be made directly to the student to be used towards tuition and education-related expenses upon enrollment verification. We will withhold the award for any scholar who no longer meets the eligibility requirements. Family members of Anthony Ihedoha Anaebere, Sr. are not eligible to apply for the scholarship per federal donation and scholarship guidelines. Administrators of the scholarship reserve the right to use photo images and details about all student award recipients for scholarship promotional and advertisement purposes only. Additionally, versions of an application submission may be retained on file by administrators of the scholarship for future review purposes. Please read carefully through the information on this Frequently Asked Questions section before applying.